This Christmas I was extremely happy to receive a brand new camera as a special present and I have been experimenting with it ever since. Last week I brought it for its inaugural visit to the snowy Dolomites in northern Italy. I quickly discovered that when shooting moving figures in brightly back-lit conditions – snow, for example – my camera is capable of seeing double as it takes multiple shots. I found these photographs quite interesting and amusing and thought I would share them with you and ask for your comments. I assure you, they have nothing whatsoever to do with my consumption of Pear Williams! 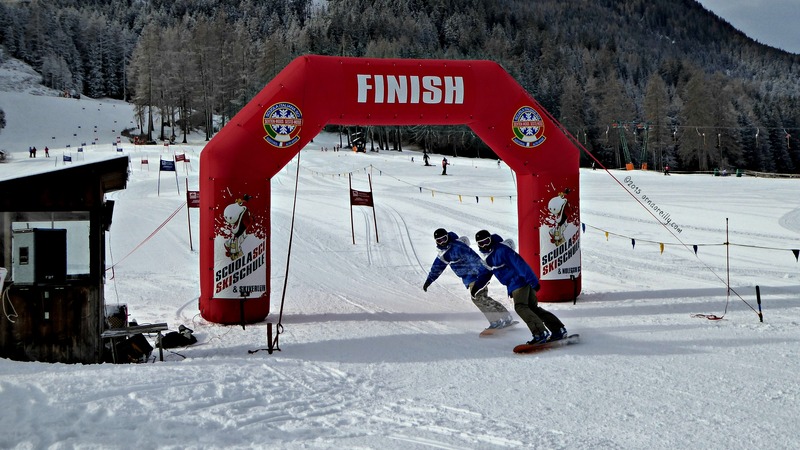 They were taken at the Ski Trek 2015 races at Sesto, in the Sud Tirol. My Settimana Bianca blog is almost ready to publish, so watch this space. These photos are fab! If you put it on a slower speed do you get lots of repeats?! 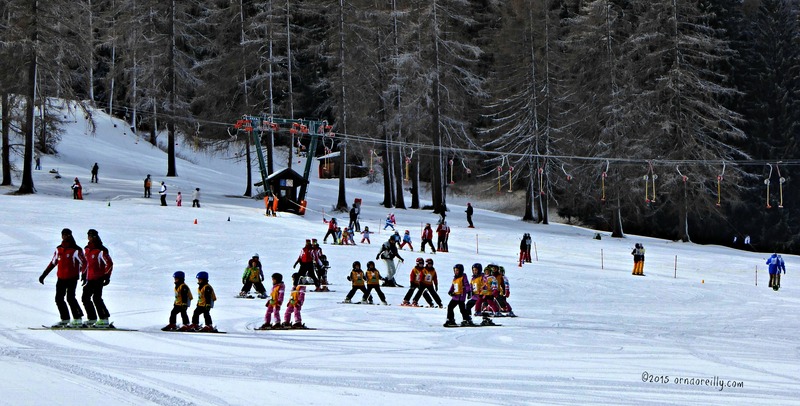 You could end up with ribbons of skiers coming down the slope!! 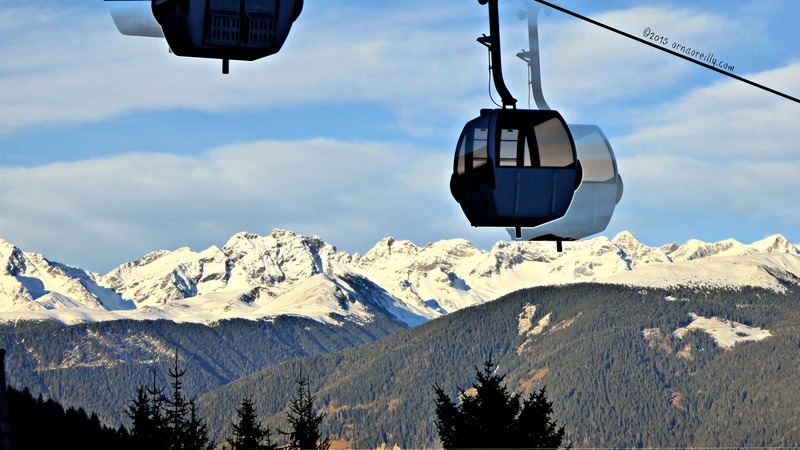 And the Dolomites look very inviting – they’re on my wish list so I look forward to your settimana bianca post! Grazie mille! Thanks for the comments. I’m still figuring out my new camera, but what fun! Thank you! When the camera is on automatic and the scene is brightly back-lit, it takes multiple images. 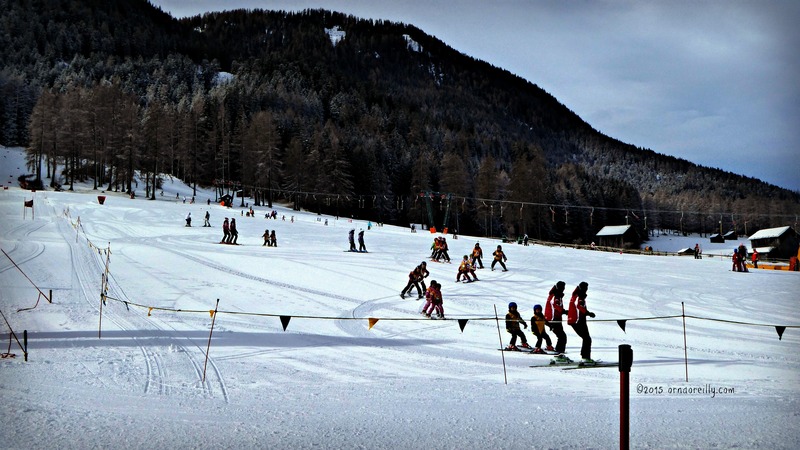 I already knew this, but I hadn’t photographed any moving figures prior to visiting Sud Tirol. I was amazed when I saw them!